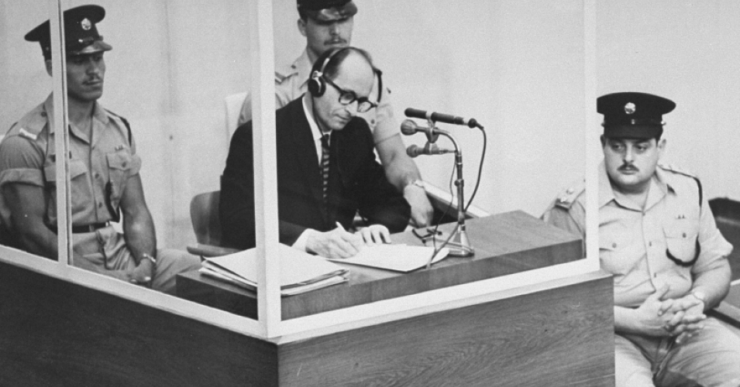 "When Congress begs forbearance for failure to indict torture collaborators, it forfeits the opportunity to confront the moral disaster of a lifetime: capitulation to the “America First” doctrines of contempt, prejudice and racial division driven by fascists in the White House. The depredations of the Trump/Pence regime on traditional democratic rights are perhaps most blatantly demonstrated by the expansion of the state torture program embraced by America’s current executioner-in-chief. In an “alternate universe” where the Obama administration prosecuted Bush-era war crimes, President Trump’s new waterboard nominee would be in prison, posted Sarah Jones at newrepublic.com. Acting Director of the Central Intelligence Agency Gina Haspel supervised the abusive interrogation of prisoner Abd al-Rahim al-Nashiri at a CIA “black site” in Thailand late 2002. It behooves us to hear the actual voices of two women who personally suffered due to the policies enforced by Haspel - the first in Rolling Stone and the second in The New York Times. 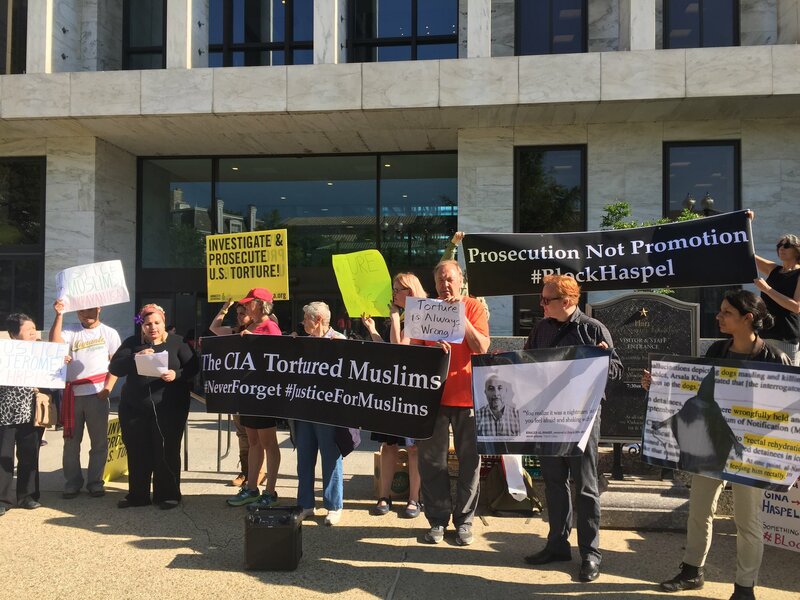 Some of us with consciences and commitment were at the hearing when it began Wednesday bringing information about Haspel to the public and putting ourselves on the line calling her out for what she is: a torturer! We send a shout out to War Criminals Watch/World Can't Wait adviser Ray McGovern who was treated brutally by security as he was removed from the hearing and then held under arrest overnight. Watch this episode from Democracy Now which includes some of the demonstration as well as incisive commentary by Jeremy Scahill.